Oink! Oink! Happy Fiesta! Happy Birthday! Merry Christmas! Happy New Year! 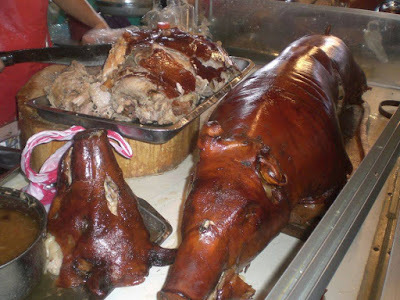 What ever the occasion is, I am 100% sure that having a Cebu Lechon on your table is your ultimate desire! Let's face it. 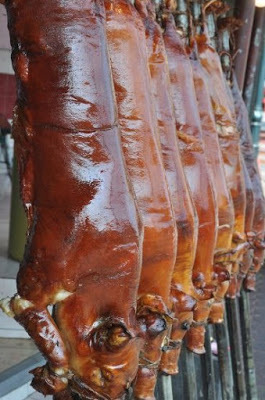 Cebu Lechon are probably one of the best lechons out there, Saan ka pa ba hahanap , eh nandon na ang the best? Diba? 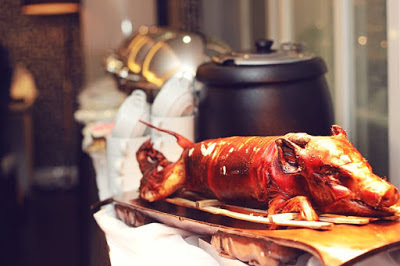 But, why do Filipinos love to have Cebu Lechon during parties or any other special occasion? 1. Filipinos love pork. Those who don't are not real Filipinos. Char! 2. Because Filipinos love anything crispy and juicy, and oily! May mas lulutong pa ba sa balat ng Cebu Lechon? Anooo?! Sumagot ka! 3. Filipinos love to share and It's the perfect salo-salo dish! Wag niyo kong uubusan, or else! 3. Because we, Filipinos only eat Lechon when there's a special occasion. Kelan na ba ang susunod na fiesta sa bayan, mga mare? 5. 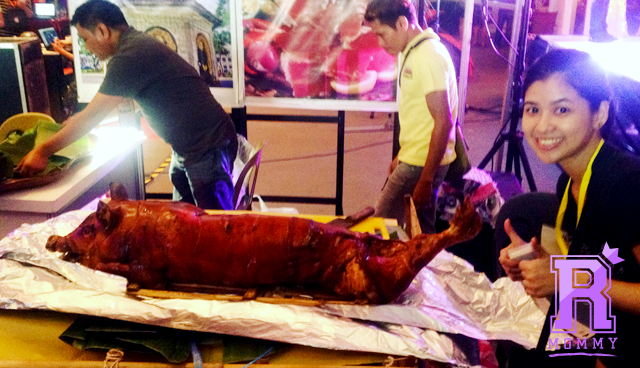 Lastly, a Filipino party will not be a party without a Cebu Lechon. Ilabas ang Lechon! Need I say more? Cebu Lechon is the best roasted pig there is. Probably in the world! Enough said. Kainan na! In the previous blogging event that I have attended, I got the chance to taste an authentic Cebu Lechon from Manong's Lechon Cebu. and my, oh my! It was definitely the juiciest and crispiest lechon that I have ever tasted. It was so good that it didn't even need sauce! I look so darn happy and hungry at the same time! Haha! 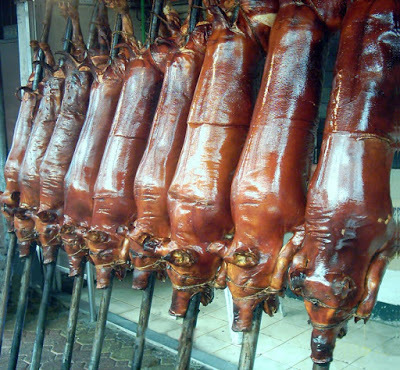 Natatakam at nag lalaway ka na ba sa sarap ng Manong's Lechon Cebu? Hala, sige! Tawag na! 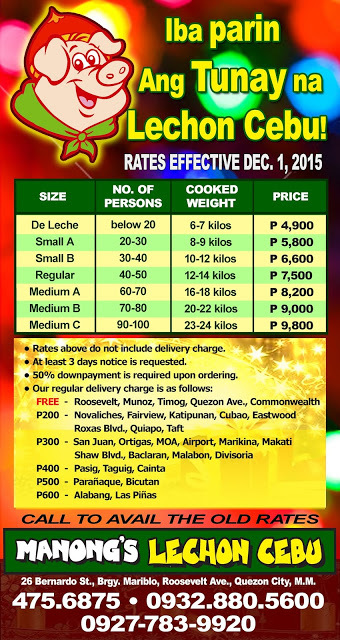 For your Cebu lechon needs, you may contact Manong's Lechon Cebu @ (632) 4756875, Sun mobile 0932-8805600, Globe 0927-7839920. They deliver door-to-door within Metro Manila for a minimum fee. Look for Roland Panares and ask for the delivery charges. 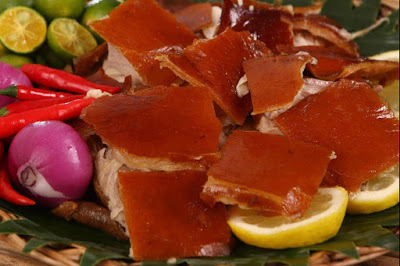 1 comment on "Food: 5 Reasons why Filipinos love to have Cebu Lechon during parties"